Your wedding day is just that, yours. You decide what you want it to be: simple and intimate, large and elaborate, or anything in between. 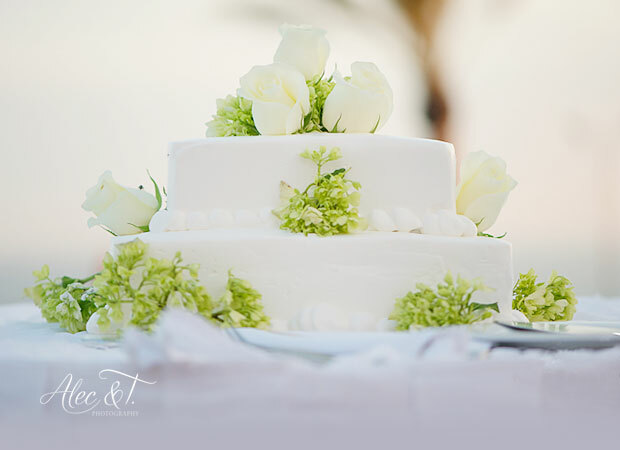 At our Cabo San Lucas and Mazatlán resorts, we ensure that your wedding is everything you could want with our variety of wedding package options. From the décor and officiant, to the wedding toast, we’ve got all the bases covered so you can relax and enjoy. ** Restrictions apply, no exceptions: Offer is only applicable for new weddings and is not combinable with other promotions. Contract must be signed by April 30th, 2019. Site inspection must be at least 3 months before wedding date; free night is subject to availability and blackout dates (limited to 1 room for 2 adults). Additional nights for site inspection will be available at reduced rates. Promotions are subject to change. Cocktail hour set-up with high tables, and full banquet set-up with round tables, existing linens, chairs with covers, china, glassware and silverware. The package is only available for groups with all-inclusive hotel reservations, and a minimum of 30 hotel room nights is required (or 10 rooms x 3 nights). Timeshare reservations do not count towards the minimum requirement. Wedding package price does not include hotel accommodations. 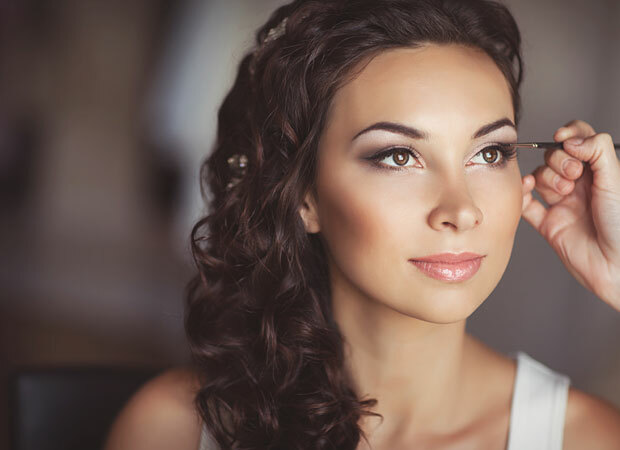 Your reception can be extended with an applicable surcharge in certain locations. For events on the beach at Pueblo Bonito Pacifica and Pueblo Bonito Sunset Beach, events can be extended until 3:00 a.m. and at Pueblo Bonito Sunset Beach Sky Pool, they can be extended until midnight. For less than 40 guests, the same venue for cocktail hour and dinner should be used; the usage of an additional venue will result in a location fee. With this package, any available venue can be selected for ceremony, cocktail and reception. At the Sky Pool Upper Terrace at PB Sunset, a minimum consumption of Food and Beverage of $8,000 USD is required. The Lower Terrace is available without a surcharge. Packages include the services of a minister or priest (symbolic ceremony). Legal ceremonies are available with a surcharge. Group rates are not combinable with other discounts or offers, such as spa or golf discounts. Prices subject to change without previous notice. The hotel can only honor the promo prices if the contract is received before the promo expires. This package is only available for groups with all-inclusive hotel reservations, and a minimum of 15 hotel room nights is required (e.g. 5 rooms x 3 nights). Timeshare reservations do not count towards the minimum requirement. This package is recommended for a maximum of 30 guests since the maximum number of people that can be confirmed for dinner at our participating restaurants is 30. 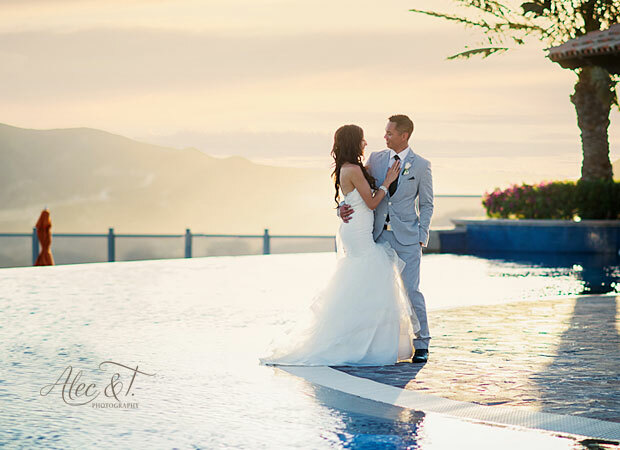 All locations are available for this ceremony a cocktail based on availability except Sky Pool at Pueblo Bonito Sunset. For more than 30 guests, a private dinner should be confirmed, in the same location as the cocktail hour. Please consider private dinners will carry an extra surcharge of $49 USD per person extra to this package for all-inclusive guests. This fee will not apply to the external guests and will not affect the external guest fees. If dinner service in restaurants is extended for more than 2 hours, an additional surcharge of $5.50 USD per person will apply for all-Inclusive guests, and $22 USD per person for external guests or guests without all-inclusive plan. For private events, please check availability and prices to extend service with your coordinator. Reserve your 2019-2020 wedding wedding from now through December 24, 2019, and get a $200 USD credit towards the cost of the package when you book your wedding ceremony on a Monday, Tuesday or Wednesday. (Price includes 10 guests, counting the bride and groom; additional guests will change the package price. The package is available for a maximum of 30 guests). A maximum number of 30 people can be confirmed in our participating restaurants; private service is for up to 2 hours. This package is not available for more than 2 guests (bride and groom). 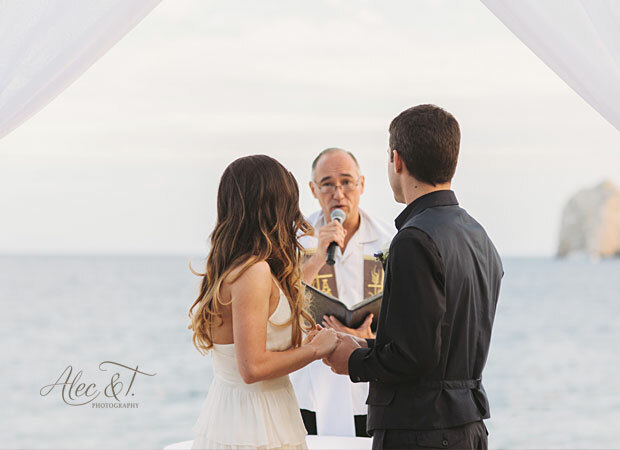 This wedding package is available for ceremonies scheduled on the beach between 11:00 am to 3:00 pm.